Residential underground storage tank regulations are often confusing and are constantly changing. With over 10 years of experience with the NJDEP, CEMCO can provide you with the most cost- effective solution to your storage tank problems. 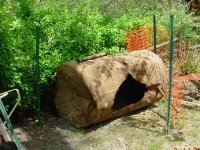 There are NJ state sponsored grants and low interest loans available to homeowners to assist in the proper removal, remediation, and replacement of underground storage tanks. CEMCO can guide the homeowner through the process, ensuring that tank removal is both regulatory compliant and financially manageable. CEMCO has the capabilities and experience to guide the homeowner through the vast array of regulations regarding the removal of home heating oil tanks. CEMCO maintains a fully trained and licensed staff of experts to ensure your project complies with all the new NJDEP regulations. 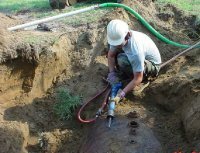 CEMCO provides fully licensed well drillers, subsurface evaluators, and closure professionals to ensure compliance. Whether its performing a preliminary site assessment or a full-scale tank removal and site remediation—CEMCO has the experience to ensure regulatory compliance and cost-efficiency. CEMCO maintains a solid relationship with the major homeowners insurance carriers. We have developed long-term, mutually beneficial relationships with many of the major insurance carriers. These relationships allow CEMCO to act as a intermediary between the homeowner and their insurance carrier, providing information to properly process your insurance claim.